Since beginning his new position as Commander of the US Southern Command six months ago, Admiral Kurt Tidd has been traveling for four of them. He’s met a number of key civic and political leaders in the last two, and said he’ll be reaching out even more now that he’s settling into the job. 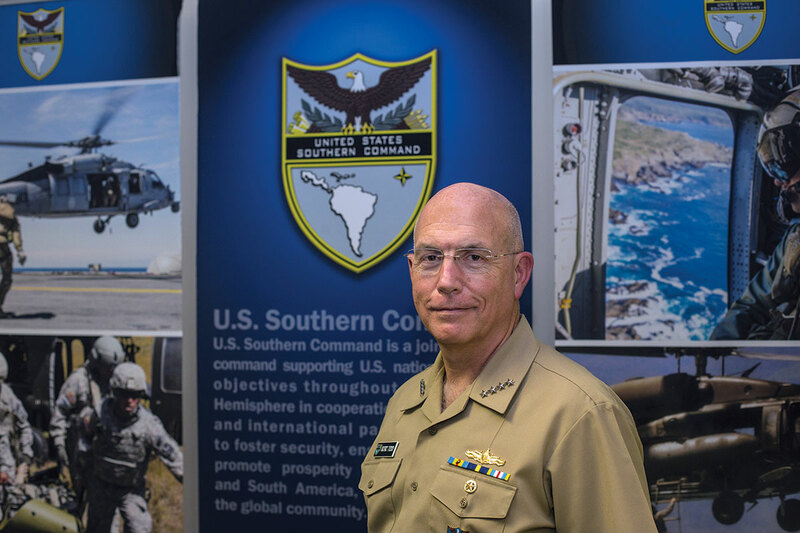 With a mission to protect the southern approaches of the country, Admiral Tidd said the most important security challenges he’s focused on are the illicit networks that pose a threat to US safety. They range from purely economically-motivated criminal networks to purely ideologically-motivated terrorist networks, he said, but stressed the reality is there’s a real blurring of the lines between them. terrorism, comes from a military family and now his youngest daughter just joined the Coast Guard. He said he probably had alternate plans a few times very early on but, when he was about 8 years old he visited the destroyer his father commanded. It seemed like such a fantastic thing to do, he said, that he knew he’d also serve in the US Navy. Miami Today reporter Susan Danseyar interviewed Admiral Tidd at the US Southern Command.